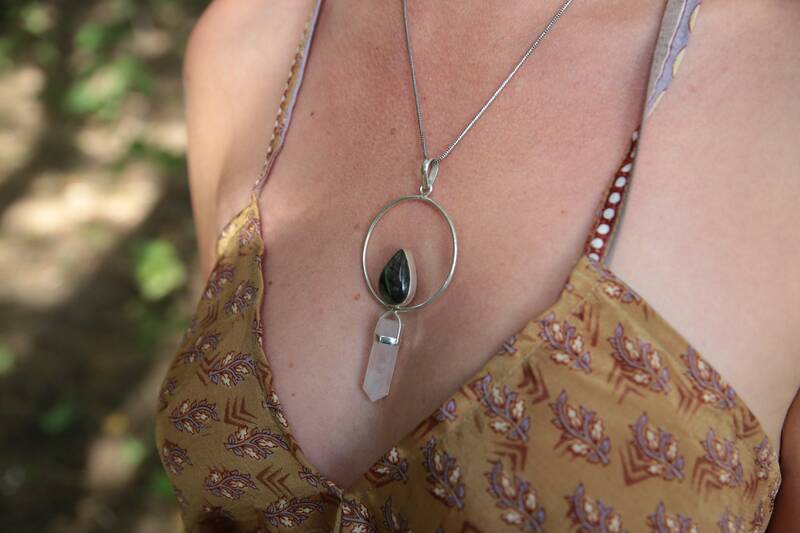 Inspired by, and harbouring the energies of the full moon, this 92.5% Sterling Silver necklace has been handcrafted in our workshop in the beautiful Rajasthani Desert in India using high quality crystals we hand source on our adventures. 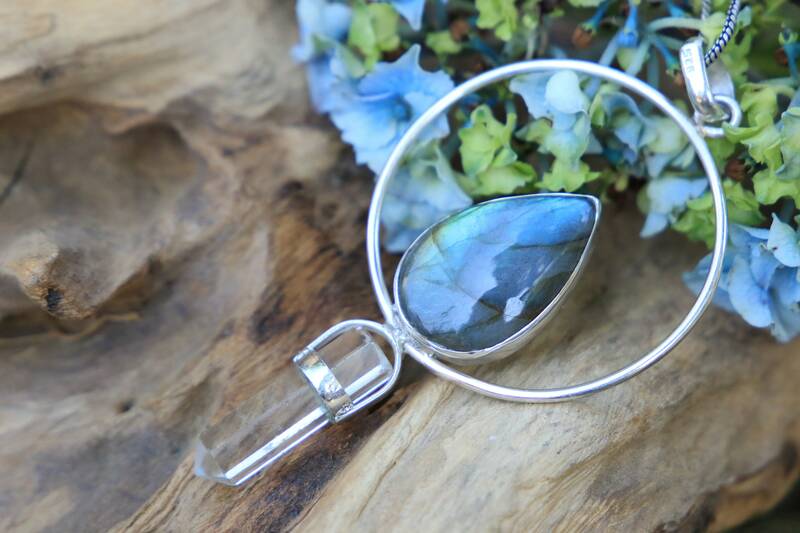 The stunning iridescent labradorite stone glimmers and shines, whilst the clear quartz adds a purifying element to the piece. 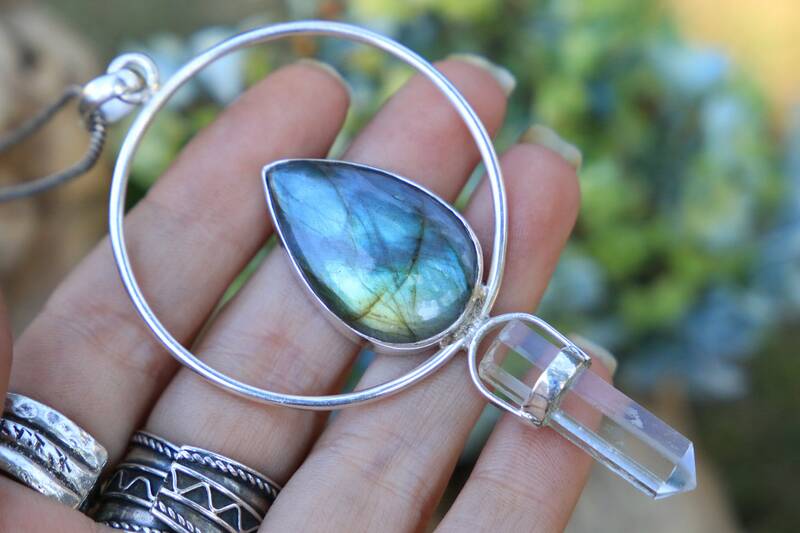 A strong silver band encases the top labradorite crystal in a full moon shape while a diamond cut quartz wand hangs from the bottom. 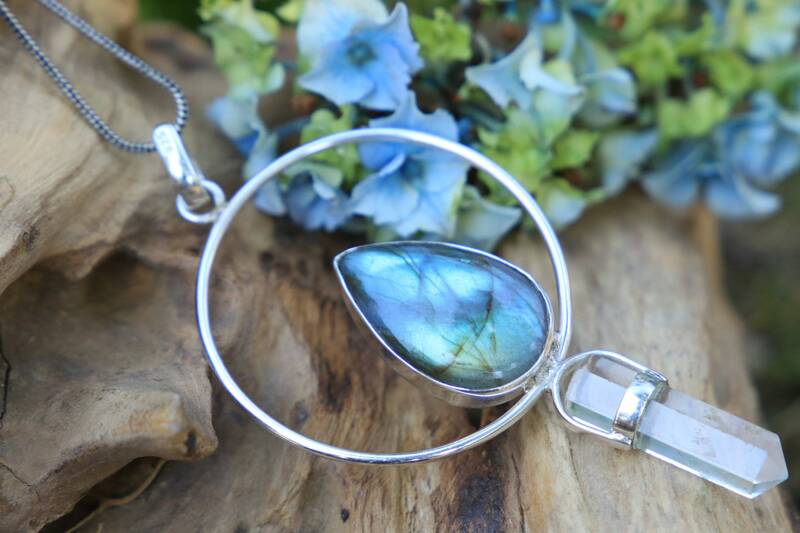 I take a lot of inspiration from the moon and a lot of our jewellery features moon symbols or shapes. 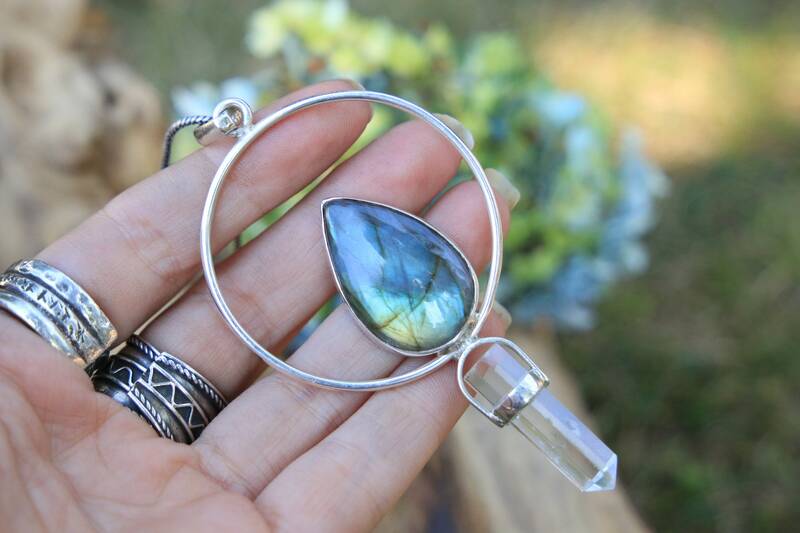 This necklace was inspired by the full moon it was created under and this is represented by the silver circle holding the crystals within its light. 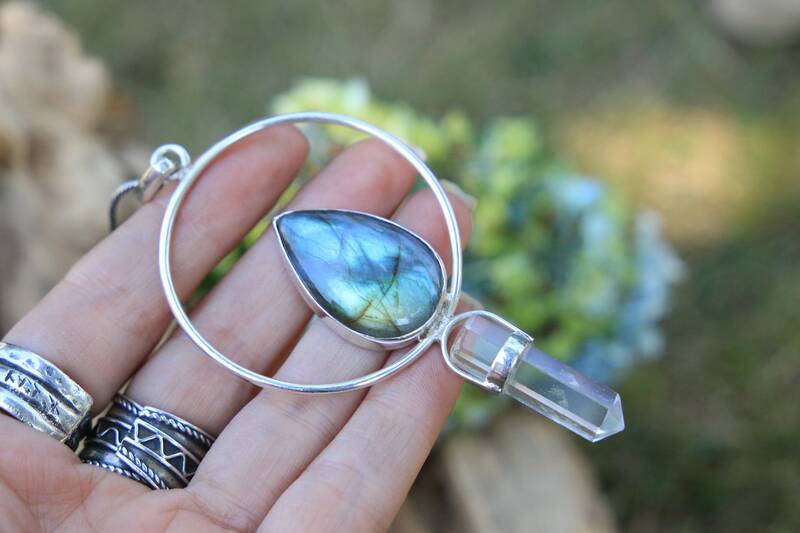 The moon is symbolic of and represents the divine feminine, powerful energies and new beginnings, it is a powerful symbol to use within meditation or manifesting. 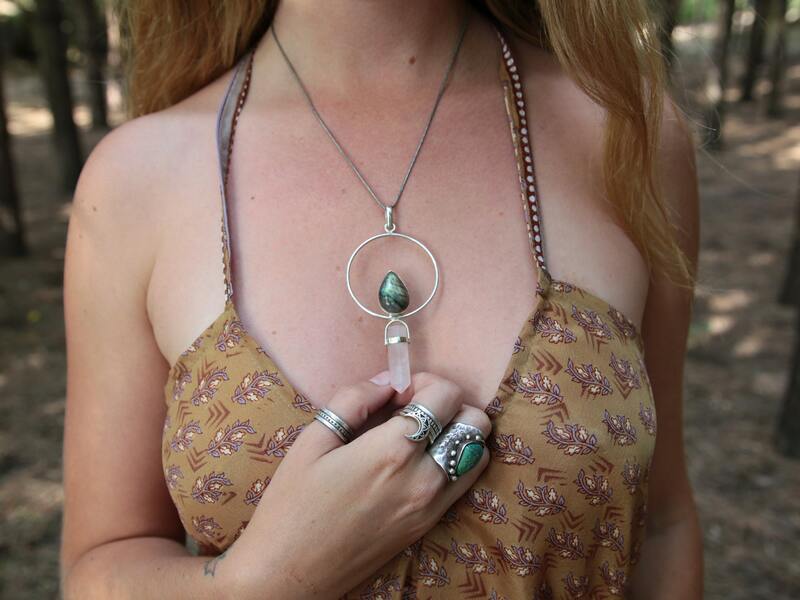 Quartz also enhances the natural energies of other stones, making it a powerful piece to add to other crystals. 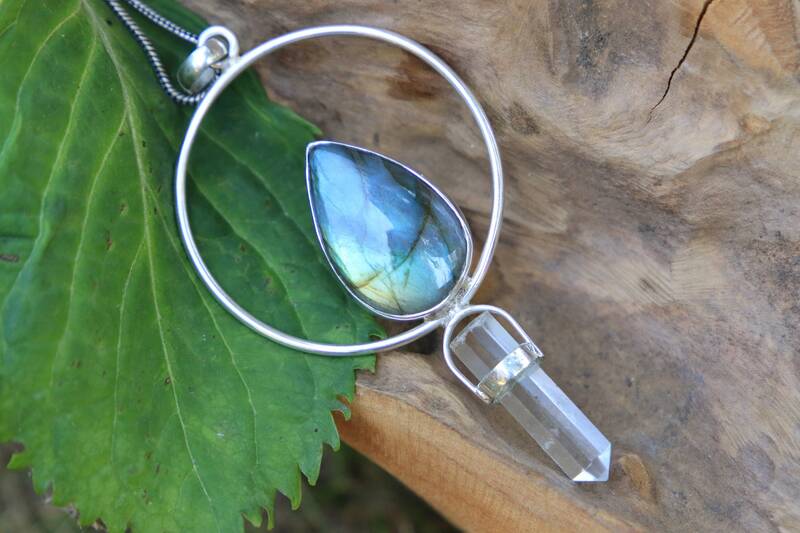 Worn together these crystals make this handmade sterling silver piece both beautiful and high frequency. 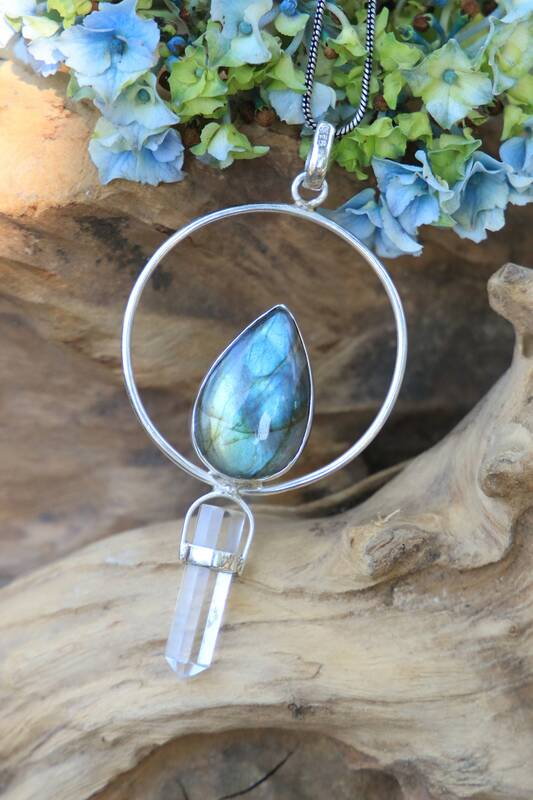 * Due to the handmade nature of our pieces and the natural qualities of the crystals we use, crystal shape/ transparency/ style can vary to those photographed - This is part of their unique charm and it also means that no two pieces will ever be identical making your piece as unique as you are! So gorgeous! Absolutely stunning piece.